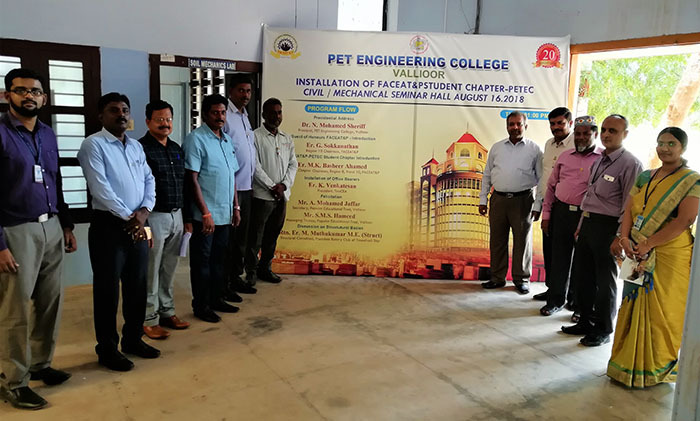 The FACEAT & P student chapter was installed at PET Engineering College by the department of Civil Engineering on 16th Aug 2018. Mrs. P Jane Angeline, Head of the Department welcomed the gathering. The Principal Dr. N. Mohamed Sheriff presided over the function. 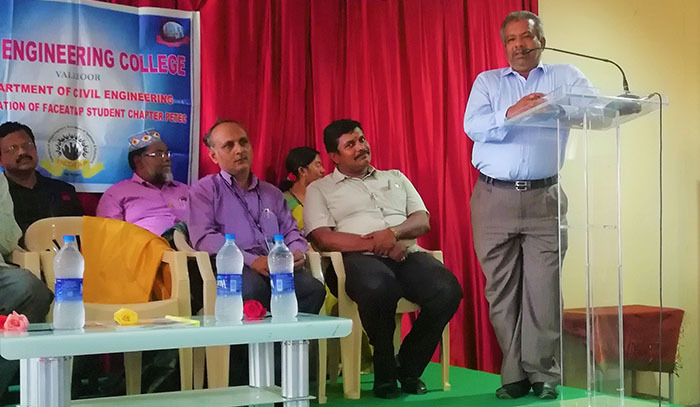 In his presidential address he emphasized that the students should leave no stone unturned to face the cut � throat competition of the present age. 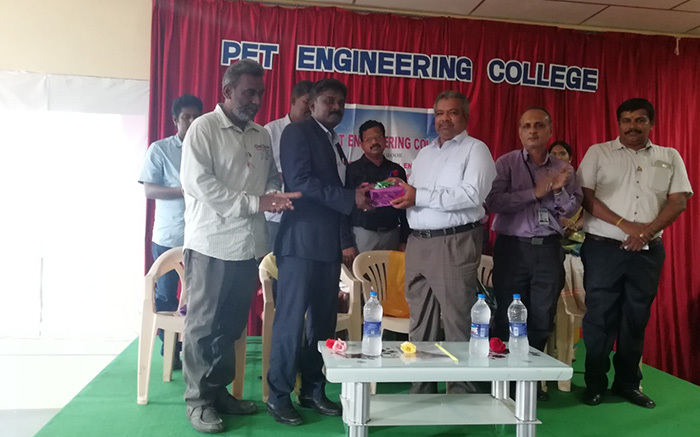 Mr. S M S Hameed, Managing trustee appreciated the efforts of the department and felicitated the gathering. 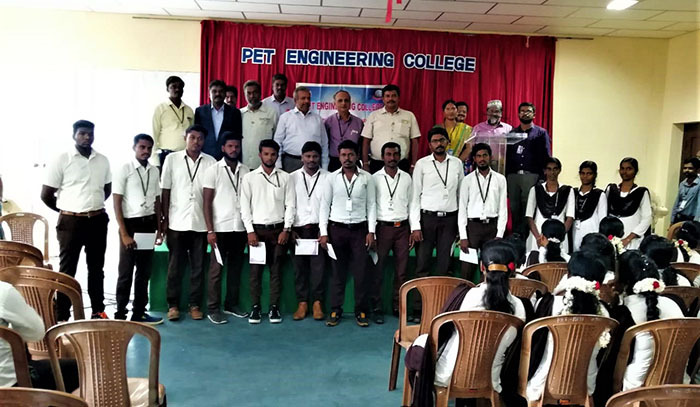 Mr. K. Venkatesan, president of Tiruneveli Civil Engineering Association nominated the office bearers and gave an introduction about FACEAT & P The chief guest Mr. M. Muthu Kumar, Structural Consultant, President Rotary Club of Tirunelveli gave an insight on the basics of Structural Engineering and then had an interactive session with the students. Mr. T M Mohamed Usman, Assistant Professor of the Dept. 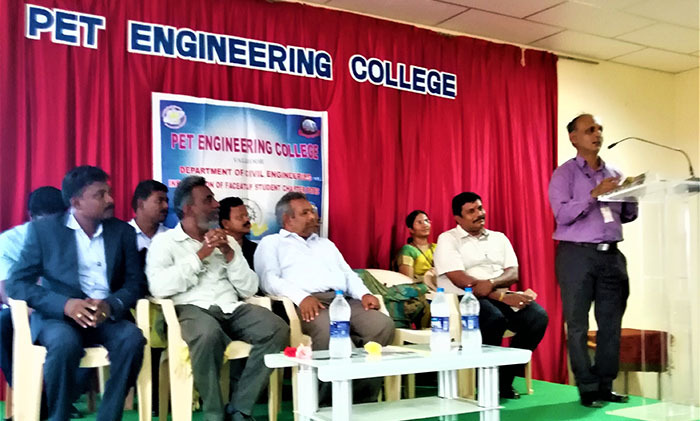 of Civil Engineering, who co � ordinated the program proposed the vote of thanks.